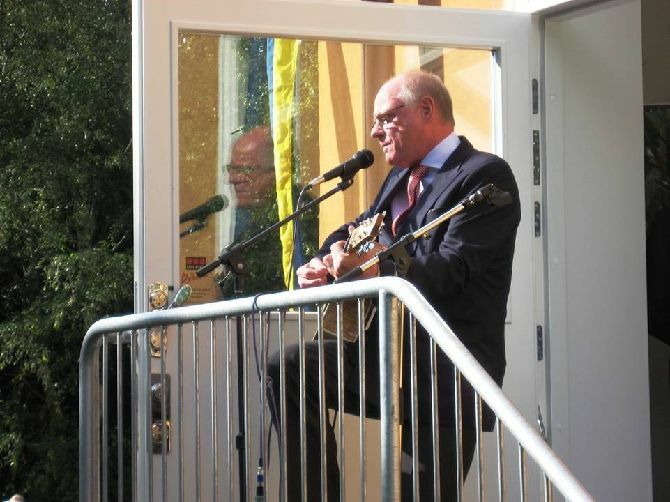 On Saturday, September 9th, the first Raoul Wallenberg School in Sweden was inaugurated. 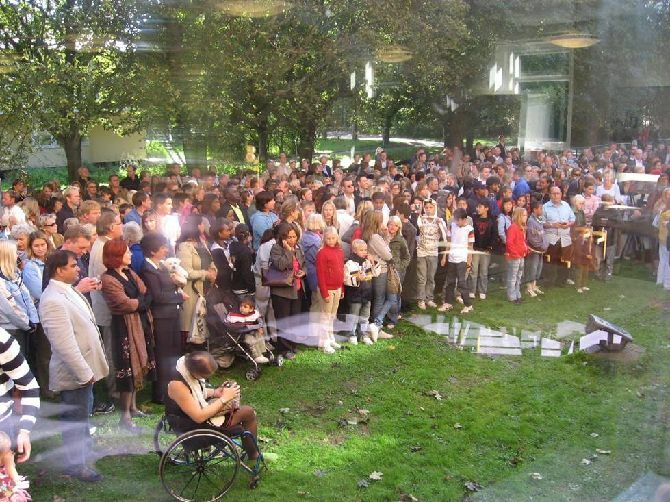 This was an important day for all of those working to maintain the memory of Raoul’s heroic deeds and the Holocaust. 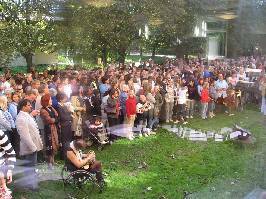 A large audience, mostly students and their relatives, had gathered to listen to principal Simon Dyer hold an inauguration speech and to see Nina Lagergren, Raoul Wallenberg’s sister, cut the tape to the first Swedish school that bears her brother’s name. 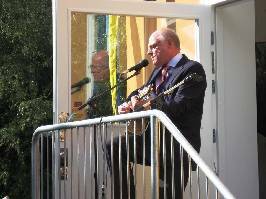 Folk musician Ben Olander spoke and sang some of his own songs. 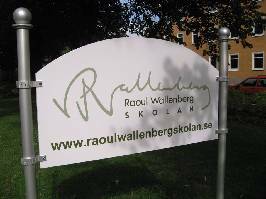 The Raoul Wallenberg School is located in Bromma, Stockholm. It is a private school with students in 7th, 8th and 9th grade, with plans to expand to upper secondary level. The Raoul Wallenberg School uses Raoul Wallenberg and its legacy as an inspiration. Their guiding principles and clear values are honesty, compassion, courage and action. They focus on teaching the students to show respect for other human beings and become enlightened citizens of the world; two of Raoul Wallenberg’s epithets. Their international profile is prominent and reflected by the staff team with teachers from 13 different countries, including USA, Canada, South Africa, Australia, Nigeria, Lebanon, Paraguay and Sweden. There are Raoul Wallenberg schools in several countries around the world, some of them named following a suggestion made by the International Raoul Wallenberg Foundation (IRWF), a non-profit non-governmental organization, aimed at developing educational programs and public awareness campaigns based on the values of solidarity and civic courage, ethical cornerstones of the Saviors of the Holocaust. Countries include Germany, United States, Uruguay, Ecuador, Argentina, Brazil and Venezuela. For more information about the IRWF, please visit www.irwf.org. For more information about the Raoul Wallenberg School in Sweden, please visit http://www.raoulwallenbergskolan.se.